← How can HeinOnline help me with my legal research? This year, three of our librarians travelled to Baltimore, MD to attend the annual meeting and conference for the American Association of Law Libraries on July 14 – July 17, where they helped organize conference sessions, evaluated research tools, and more. At the conference, Professor Lori Andrews was honored with the “2018 AALL Spectrum Article of the Year” award. You can find her article “iSpy: Threats to Individual & Institution Privacy in the Digital World,” published in the May/June 2017 issue of the AALL Spectrum Magazine. 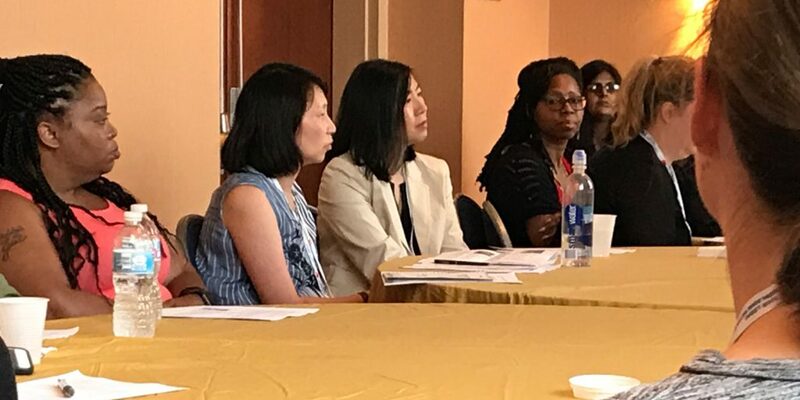 Mandy Lee organized the program Minority Females in the Profession: Librarians Promoting Diversity and Inclusion, Part II that continued AALL 2017’s roundtable discussion, “Librarians Promoting Diversity and Inclusion,” organized by the Asian American Law Librarians Caucus. This year the panelists focused on the roles of minority female law librarians within their institutions. What opportunities have they created/seized? What challenges do they encounter? On a larger scale, what pathways for success are open to minority females within the law librarianship profession? What responsibilities do minority females have to their institutions, their communities, the profession, and last, but not least, to themselves? Librarians from many institutional settings attended and participated in the discussion. 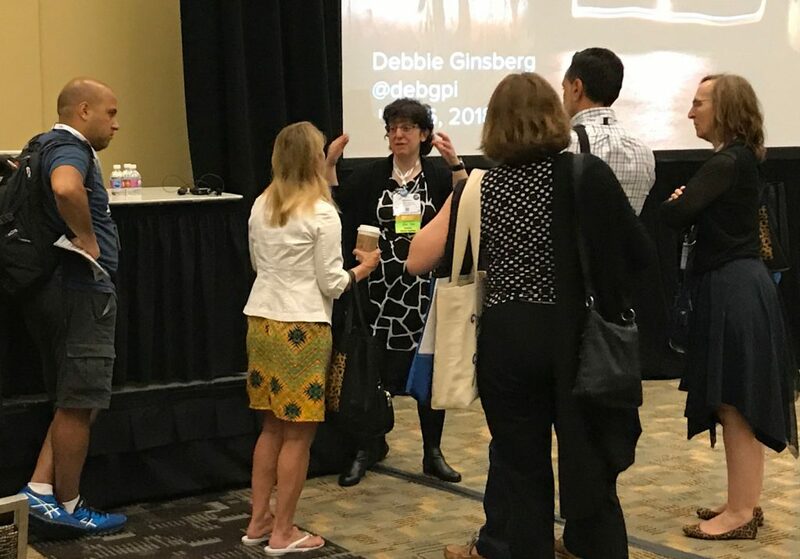 Debbie coordinated and presented the program, Blockchain Is So 2017: Legal Cryptotech for the Modern Librarian at the AALL Annual Meeting. Blockchain made a splash in 2017, but that’s just one of several crypto-technologies that will have a profound impact on the practice of law in the near future. Debbie defined the basics of these technologies, showing how they work and discussing trends in the law resulting from implementing new services using blockchain and related technologies, including smart transactions and smart wills. This entry was posted in Chicago-Kent and tagged AALL, conferences. Bookmark the permalink.